4-H'ers will pre-register for this 4 week workshop series. Times will vary based on age of child. The younger group will be from 4:30-5:45 and then 6-7:15 pm for the older group. More details will be released closer to the event. Rowan County 4-H'ers will compete in county level presentations and expressive arts competitions to qualify for district level. Stir- Frying - Is a Chinese cooking technique in which ingredients are fried in a small amount of very hot oil while being stirred in a wok. Stir-frying has been recommended as both healthy and appealing for their skillful use of vegetables, meats, and fish which are moderate in their fat content and sauces which are not overly rich, provided calories are kept at a reasonable level. Stir-frying has been promoted as healthy and nutritious. Writers extolled the quick cooking at high heat for retaining color, texture, and nutritional value. 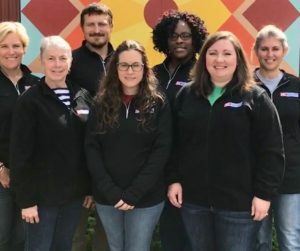 North Carolina Cooperative Extension partners with communities to deliver education and technology that enrich the lives, land, and economy of North Carolinian’s. To find out more about this website, contact one of the people listed on the staff page or search all of our websites. Looking for a specific person? Try the Rowan County Center Staff Directory, or the Full Directory for N.C. Cooperative Extension.